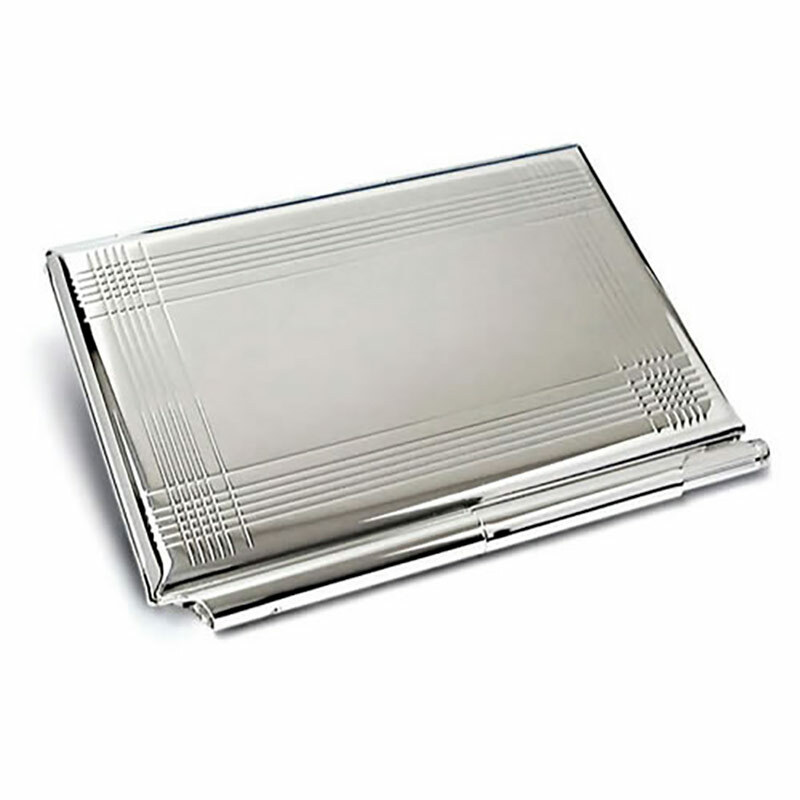 A stylish business card case and pocket notebook with pen in silverplated finish with distinctive geometrical border design. These sturdy notebooks feature a hinged lid and spring clasp for holding business cards or other notes. 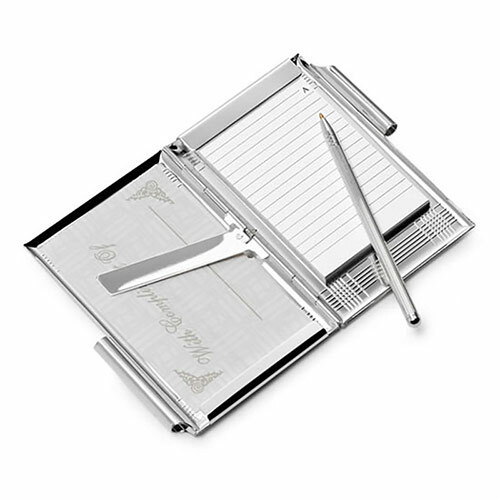 They are offered with free engraving of text and logos, allowing you to customise your silverplated pocket notebooks with your company or brand name or logo at no extra cost.